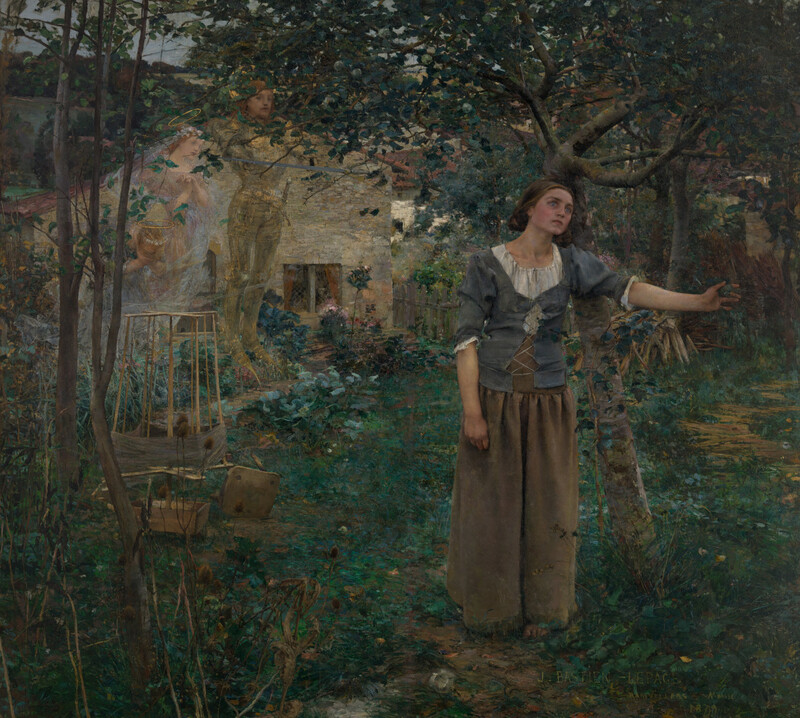 The English claimed many offenses against Joan of Arc. 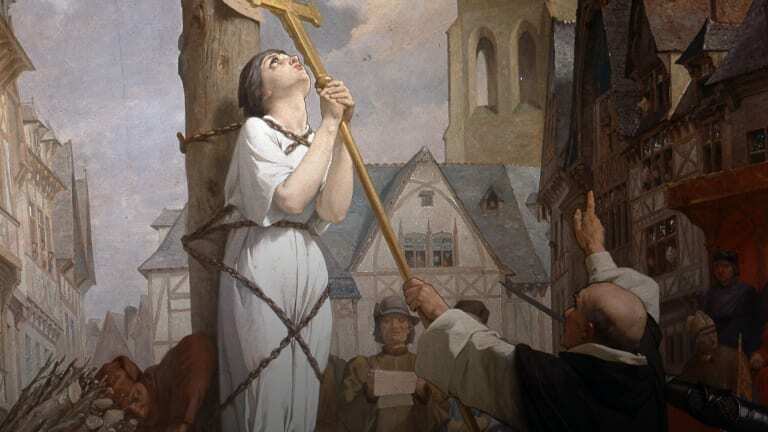 But when they burned her at the stake in Rouen, France on May 30, 1431, they not only immortalized the 19-year-old, but made her a national symbol for the French cause during the long-fought Hundred Years’ War. Born a peasant in a small French village, the illiterate girl claimed to hear divine voices and see visions of St. Michael, St. Catherine of Alexandria and St. Margaret of Antioch from the age of 13. 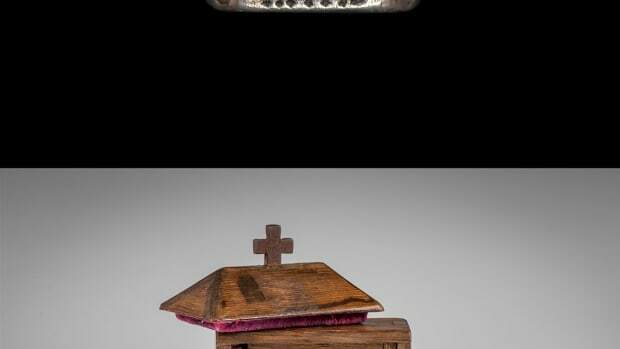 Their message: Help Charles VII, heir of Charles VI, be named the rightful king of France. 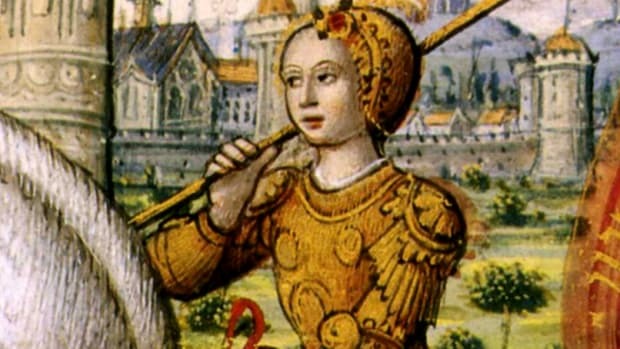 Convincing Charles to let her fight—and dressed as a man—Joan led the liberation of Orleans, triumphed with other victories against the English, and soon Charles VII was crowned. 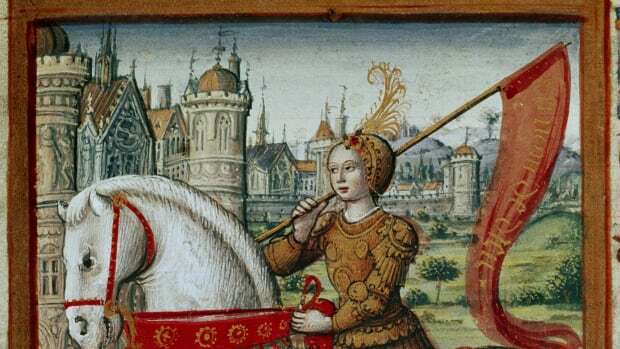 But a series of missteps, including her failure to liberate Paris followed, and on May 23, 1430, she was captured by the Duke of Burgundy’s men, jailed for more than a year and put on trial for charges including heresy, witchcraft and violating divine law for dressing like a man. 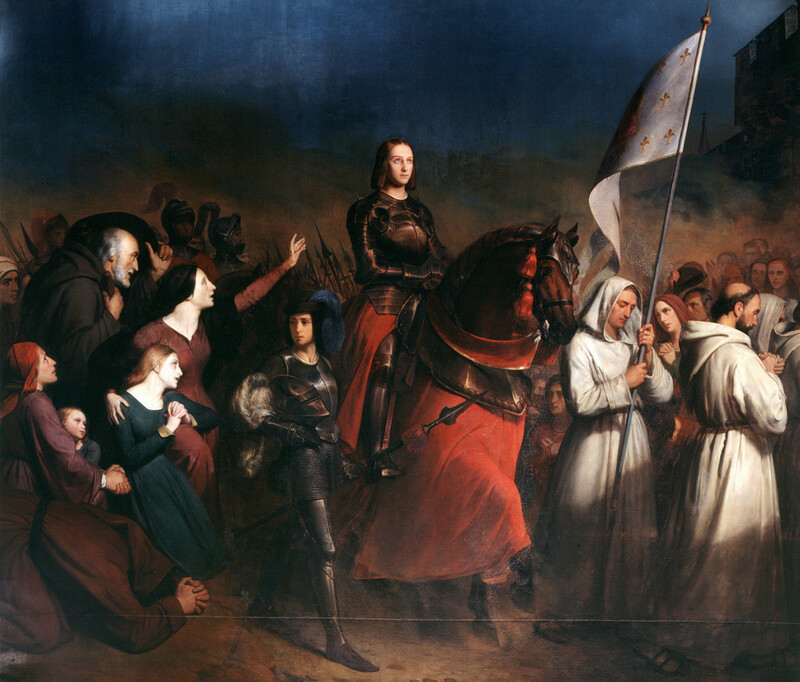 Joan of Arc&apos;s entry into Orleans. At the time of Joan’s trial, which began January 9, 1431, her notoriety could not have been greater, writes historian Helen Castor in her 2015 book Joan of Arc: A History. Hobbins adds that the motivation for the trial was political, because Joan’s claims were political. On May 24 Joan signed a retraction, and, on the condition she would dress as a woman, her death sentence was reduced to life in prison. 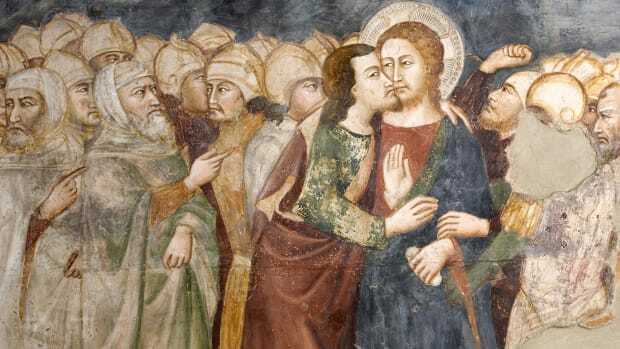 But four days later, she said the voices had returned and she was again found dressed in men’s clothing. All 27 trial masters pronounced her a relapsed heretic. 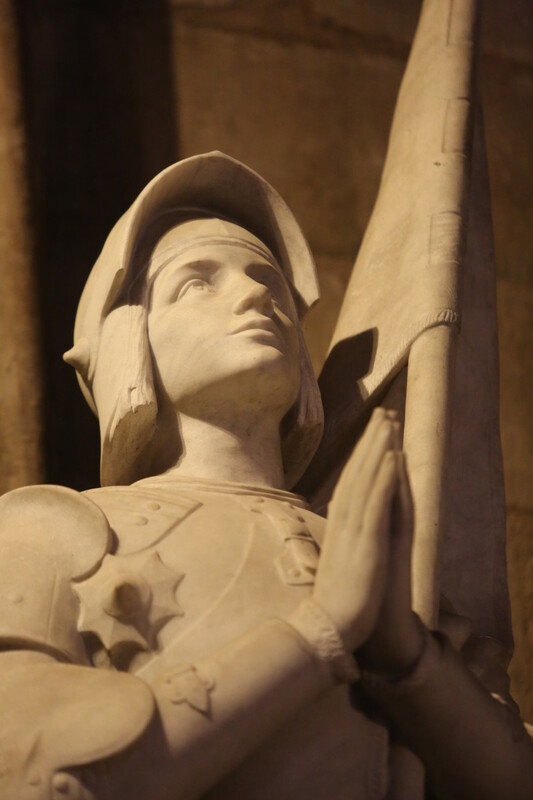 A statue of Joan of Arc in the Notre Dame Cathedral in Paris, where she was beatified. On May 30, 1431, Joan of Arc was burned at the stake. The Hundred Years’ War waged on until 1453, with the French finally beating back the English invaders. In 1450, Joan’s guilty verdict was overturned by a Rehabilitation Trial ordered by Charles VII. Joan’s legend grew, and, in 1909 she was beatified in the famous Notre Dame cathedral in Paris by Pope Pius X. In 1920, she was canonized by Pope Benedict XV.